260 Million prescriptions for pain killers are written every year. What you probably didn't know is, there are several natural ways to manage the body's natural mechanism to handle pain. Drugs first came into the market in the mid 1800's. The root of pain killers like opioids comes from botanticals. Plant extracts are isolated and studied for their analgesic effect on the human anatomy. Why? Because a plant can not be patent, but synthetic drugs can. The effects of pharmaceutical drugs are a detriment to our health. They are addictive, provide no therapeutic effect and have unlimited side effects that result in long term consequences. Insurance companies provide financial backing and lobbiest are paid a high price to pass laws and fund research projects that support the manufacturing of drugs. It takes 12 years of research and several clinical trials before a drug is released and administered to the public. Few years later it's taken off the market by the FDA. This causes billions of tax dollars to make all this happen. There are several solutions that address pain. Pain is the body's way of dealing with stress. 1. Consult with an alternative medicine physician about how you can manage pain naturally. 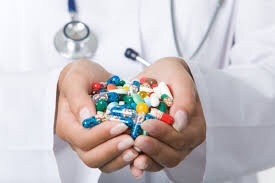 Proper nourishment, treatment and consistant coaching on health is far more beneficial than risking further health conditions from wrongly prescribed medication. 2. Stay committed to seeing a Chinese medicine Doctor. Several formulas exist that treat pain and acupuncture is proven to manage pain successfully. Not only will the pain be addressed, a good physician will get to the root of the condition and help you implement a health practice that will benefit you for a longer healthier life. Acupuncture is cumulative. One or two treatments might not fix the problem. Get prepared to grow with your practitioner. Your health is a two way street of being proactive. There are several inexpensive treatment centers called community clinics, designed to fit anyone's budget. If you are wondering if they take insurance, well the by laws in your insurance plan only address the symptoms of ones condition. If you are serious about getting results, have a clear mindset that healing begins with your thoughts and how you look at your health. 3. Eliminating extra weight and taking up yoga and meditation also are significant practices in your healing journey. Along with food therapy and investing in quality education on health. Several protocols like laser therapy and auricular therapy to name a few have helped thousands of people get back their health.